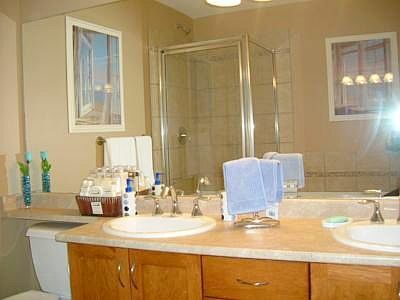 Welcome to the Aria 3 Bedroom. 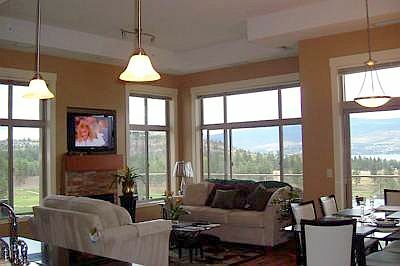 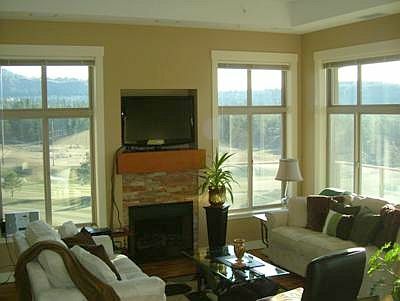 Large windows bring in the views of Lake Okanagan , the golf course and Mission Hill Winery from this top floor 1300 sq ft corner condo suite in Westbank. 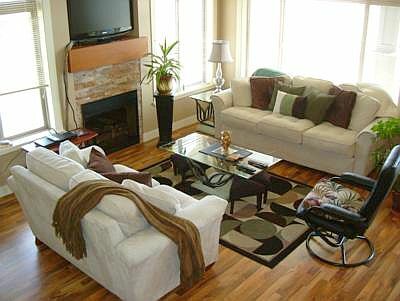 Aria comes with high-speed internet access, comfortable pillow top mattresses a well equipped kitchen with granite counters and stainless steel appliances, tea, coffee and spices, 2 HD TVs and a BBQ. 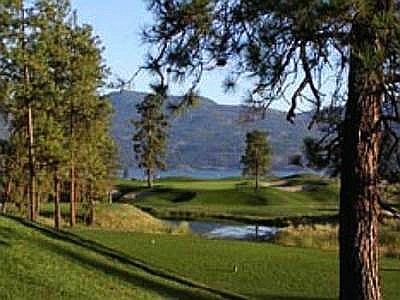 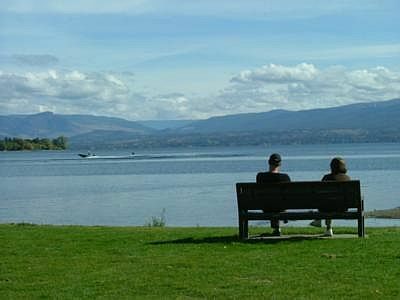 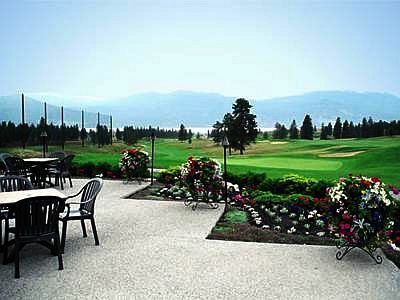 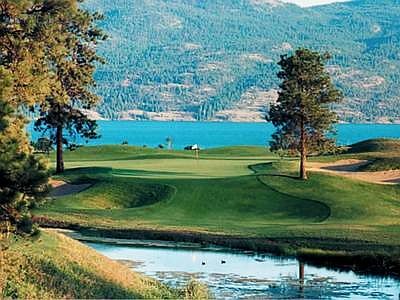 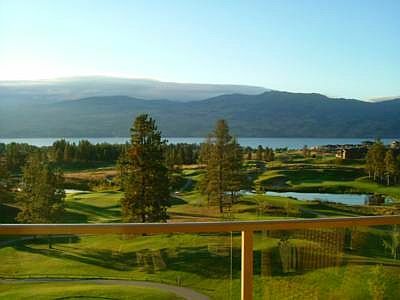 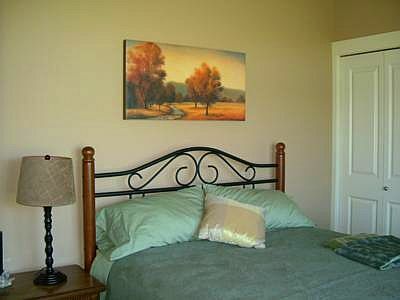 Every room has a spectacular view of the golf course with its beautiful tall pine trees, the mountains and Lake Okanagan. 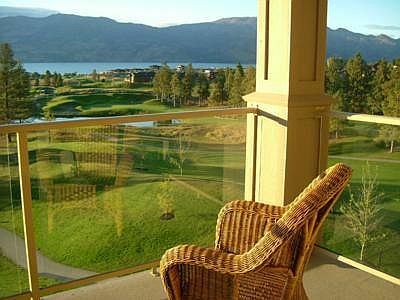 You can sit under the large covered deck and watch the golfers or the boats on the lake and hear the winery bells of Mission Hill Winery. 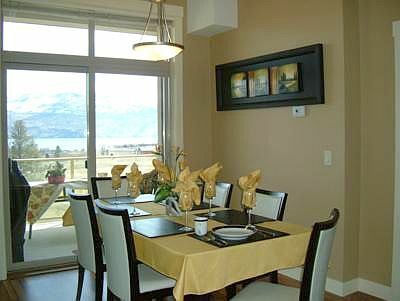 While relaxing in the living area you can watch the 42inch HD plasma TV or sip wine at the dining table and take in the views. 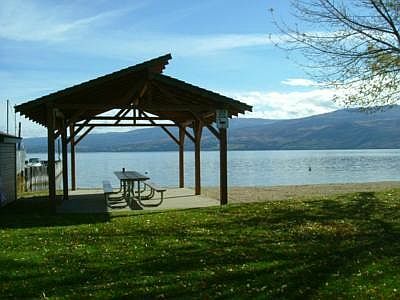 The beach is minutes away, where you can sit at a picnic table or lay on the sandy beach, play volley ball , dive off the ferry docks or simply take a walk on the path along the lake. 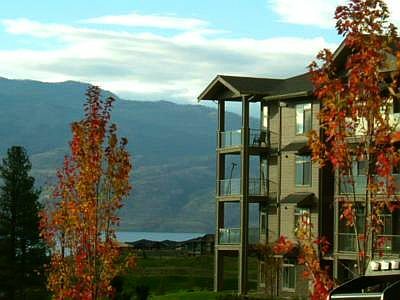 The condo is minutes to shopping, golf or five wineries, fine dining or paintball, go carting or horseback riding public pool or arena, walking paths or the gym. 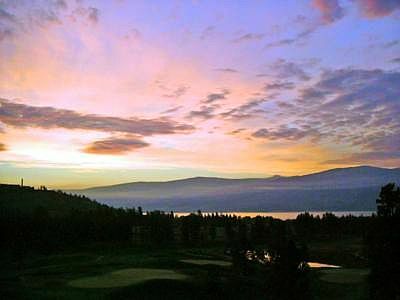 The ski hill Crystal Mountain is 20 minutes away and Big White is 60-75 minutes away. 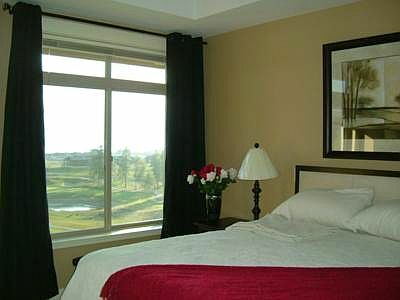 If you are looking for a relaxing vacation and want all the conveniences of a city close by then Aria is your choice. 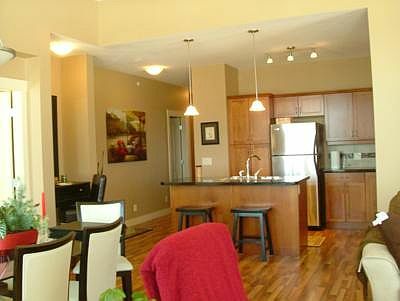 A lovely apartment in a great area. 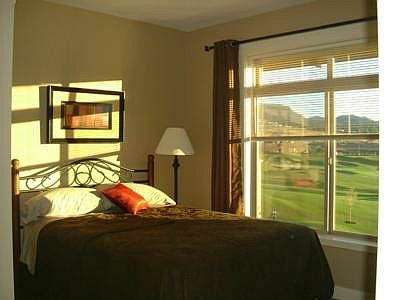 The only negative here is that they start cutting the grass on the golf course at 5 am which usually woke us all up!